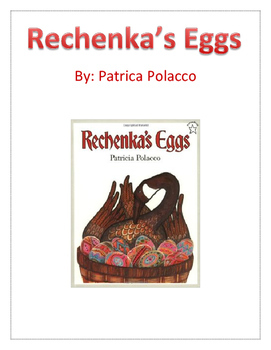 This product is used to accompany the book Rechenka's Eggs, by Patricia Polacco. 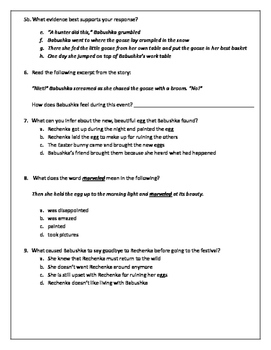 There are critical thinking comprehension questions that promote a deep understanding of the book. 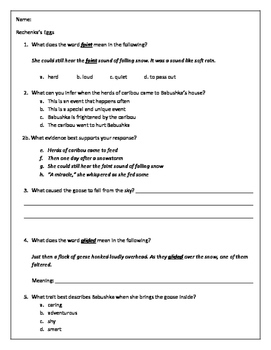 There are also 2 supplemental activities that can be used as independent or guided practice. Those activities are for cause and effect and characterization. 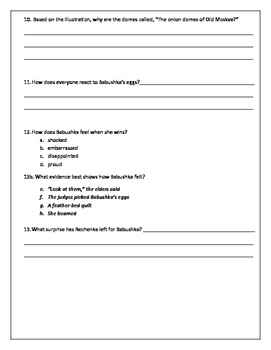 These questions and activities are used to enhance a wonderful story that children love!